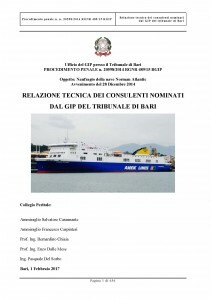 The Court of Bari, within the context of the criminal proceedings with regards to the tragedy onboard NORMAN ATLANTIC (preliminary criminal proceedings – collection of evidence), ruled that the examination of the court appointed technical experts, who submitted their report on 01.02.2017, is going to commence on March 20, 2017. The Court has scheduled 17 hearing dates. 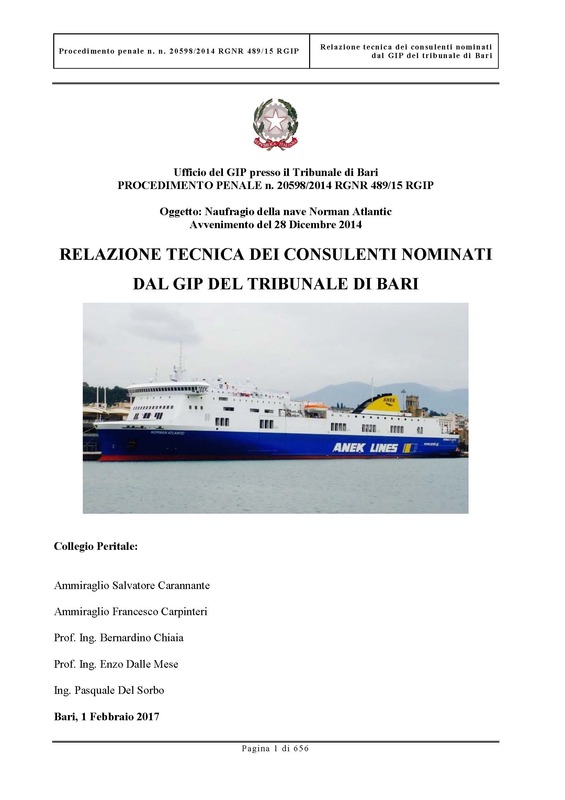 Due to the large number of parties that are expected to participate in the proceedings, the examination of the technical experts will take place at the Bitonto.